Boutique caterer, bartlett mitchell’s New Year DARE, Delicious and Responsible Eating campaign for customers has been their most successful ever. 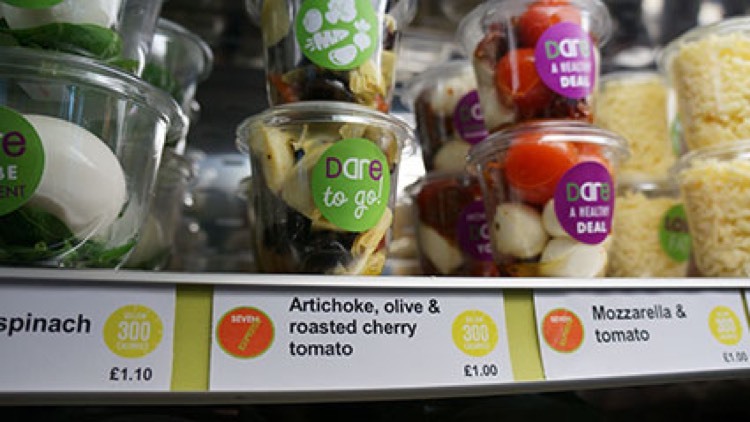 Entitled ‘New Year, New You’, the healthy eating campaign has increased engagement on social media by over 200% and sales of DARE meals and ‘grab and go’ are up by 11% compared to last year. As well as hot meals, DARE includes sandwiches, soups, boxed salads, hot deli items and breakfasts. Customer feedback to the DARE recipes has been incredibly positive and bartlett mitchell have had more requests for the recipes than ever before. DARE‘s delicious, nourishing recipes steer clear of processed foods and are packed with healthy fats, lean protein and slow release carbs. And for customers who want to know the nutritional content or are counting calories, every DARE item can be found on the MyFitnessPal app. After the intensive New Year 10 week campaign, healthy eating topics and DARE recipes will continue to feature on the menus, so customers can look and feel good all year long. “Customers want food facts they can rely on and presented in an inspiring and accessible way and a combination of print and mobile communications works brilliantly”. As an added bonus customers can help themselves to DARE ‘takeaway and keep’ recipe cards. bartlett mitchell’s Chef Director, Pete Redman created these exclusive healthy recipes with convenience and variety in mind. “I’ve used easy to find ingredients and store cupboard staples so that customers can cook an awesomely healthy recipe at home”. DARE was completely refreshed this year to take in to account legislation changes from the European Food Safety Authority and the latest food research. DARE is complimented by bartlett mitchell’s ‘BELOW…’ – calorie counted range, specifically designed to make it easy for customers to monitor their calorie intake and eat healthily. ‘BELOW…’ features a variety of tasty and healthy snacks, meals and desserts that are clearly categorised in four calorie bandings to instantly simplify calorie-based selections: BELOW 500kcal; BELOW 400kcal; BELOW 300kcal and BELOW 200kcal.